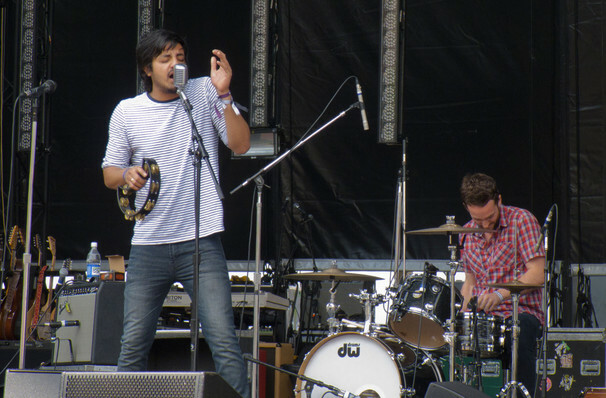 Why See Young The Giant? 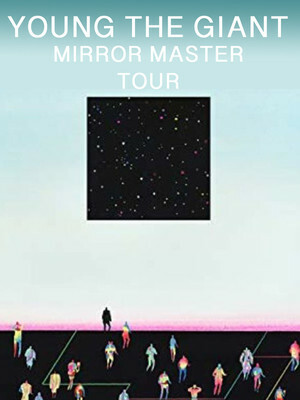 The California-based indie rockers are headed out on a national tour, in support of their fourth studio album, Mirror Master. First coming to widespread prominence in 2010, their debut album was recorded old-school style, with a focus on only recording material that they could faithfully recreate for a live audience, the recently released album focuses on growth and personal self-awareness. Supporting Young The Giant on selected dates is Canadian singer LIGHTS and art-pop band Sure Sure. Their first three singles off their previous album found instant popularity with "My Body", "Cough Syrup" and "Apartment" all placing within the top five spots of the US Alternative Songs chart upon release. Their newest singles off the Mirror Master album are fast finding their feet, including 'Simplify', 'Call Me Back' and 'Superposition'. Sound good to you? Share this page on social media and let your friends know about Young The Giant at The Odeon Event Centre. Please note: All prices are listed in US Dollars (USD). The term The Odeon Event Centre and/or Young The Giant as well as all associated graphics, logos, and/or other trademarks, tradenames or copyrights are the property of the The Odeon Event Centre and/or Young The Giant and are used herein for factual descriptive purposes only. We are in no way associated with or authorized by the The Odeon Event Centre and/or Young The Giant and neither that entity nor any of its affiliates have licensed or endorsed us to sell tickets, goods and or services in conjunction with their events.